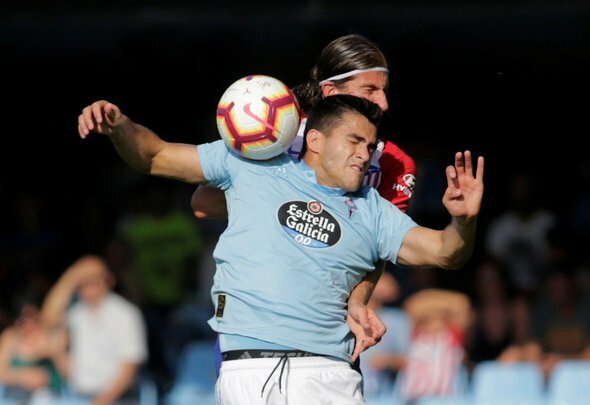 West Ham officials have flown to Spain to discuss a potential move for Celta Vigo striker Maxi Gomez, according to local outlet Radio Vigo. The Spanish station reported on Wednesday morning, as per Football Espana, that the Hammers had sent an entourage to the continent in an attempt to secure a deal for the 22-year-old Uruguayan. It is understood that Gomez has a £44.3 million release clause in his contract and is being lined up as a replacement for Marko Arnautovic, who is keen to tie up a lucrative deal to take him to China. The forward has netted 26 goals in 50 La Liga starts since joining Celta Vigo for £3.6million in 2017. It would seem so, yes. If Arnautovic is to leave this month then the Hammers will need a prolific replacement who can hit the grown running, and Gomez fits the bill perfectly. The young striker is lethal in front of goal, and the release clause in his contract is testament to how highly thought of he is in Spain. At 22, he still has lot of time to develop, and could potentially become one of the most potent forwards in Europe. If he is brought in, it would show that the Irons are ambitious, and not willing to let losing Arnautovic out a dint in their European hopes. The fact that the club have sent an entourage out to meet with Celta Vigo officials is a very promising start, and would suggest that they are serious about a deal. His price tag is hefty, but presumably a deal will only be pushed ahead with if Arnautovic leaves, and that will provide much of the funding needed to meet Gomez’s valuation. If the Hammers meet his clause then he would be free to talk to the club, and then it would be a case of finding a deal that suited all parties. It’s early, but the signs are good.